FERRARI LAND USA: “If they build it, will you come”? In 2010 a FERRARI themed amusement park was opened in Abu Dhabi. It was the first such park in the world with a racing and exotic car marque theme catering to the popularity of an exciting brand. This initial park was named FERRARI WORLD. 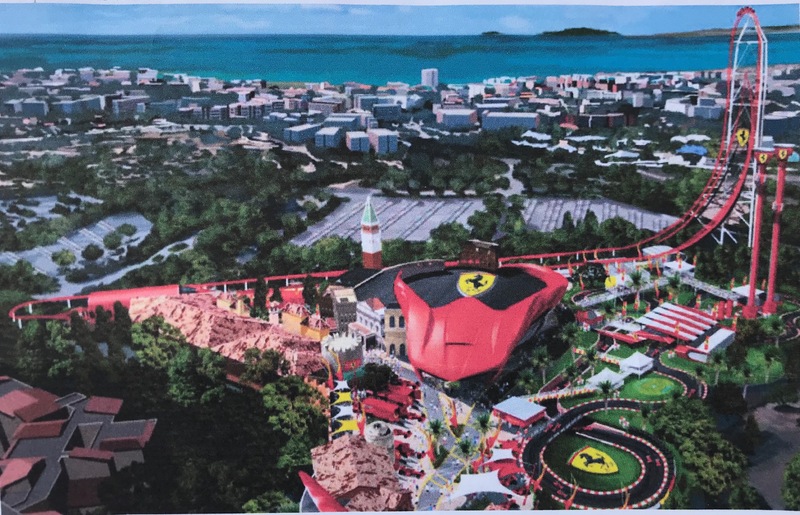 Just recently another of the specialty themed parks was opened in Europe in Spain which is FERRARI LAND and there has been some information about additional plans for similar parks in China and hopefully here in the United States. Back in early 2015, there were some reports in a few of the automotive publications and a few news articles, of speculation that FERRARI was looking at the idea of a theme park in North America, most likely in the States. This was just prior to the public offering and initial stock sale. We have not seen too much lately on this exiting possibility and wonder what the status might be given that Ferrari Stock values have risen solidly and the economy has taken off again and the Ferrari Formula 1 team is doing much better against the Silver Arrows. Has anyone seen or heard any news or any more speculation on a park here in America? Obviously, site selection, if they were to more forward, would need to be in a relatively warm climate with the typical support facilities in close proximity such as hotels, restaurants and moderate size airport, given what would be an international draw to such a park. Good question is for all you “Motor Heads” and Racing Fans, If they built a FERRARI LAND USA, would you come? We would like to do a bit of research and see what might be happening? , so come back here in the future and until then……….. TACH IT UP…………………!!! I am big Ferrari F1 fan and we follow and root big time for Risi Competione in IMSA as they are small private team to take on all the factory money.. Would love to see Ferrari North America team up with a development group to build a themed park here in the States. Certainly would like to see it here in the West somwhere, but Florida somewhere near coast etc , probably makes most sense. It will be interesting to see if anything transpires in near future…..Ciao for now!